Unity Series. Quality through and through. Well-made, efficient products designed to simplify the lives of today's families on the go. NuTone range hoods set the standard for user-friendliness without compromising on performance. This model is sure to win over even the most demanding users with its innovative design, advanced technology, and unmatched performance. Spice up your kitchen with the Italian-inspired design of the Slim Plus 30 inch. range hood. Made with high quality 430 stainless steel, this range hood offers quiet yet powerful air renewal. The push button controls are simple to operate. The protective inner stainless steel panel and removable filters provide easy-clean convenience. With a height of only 5 inch. 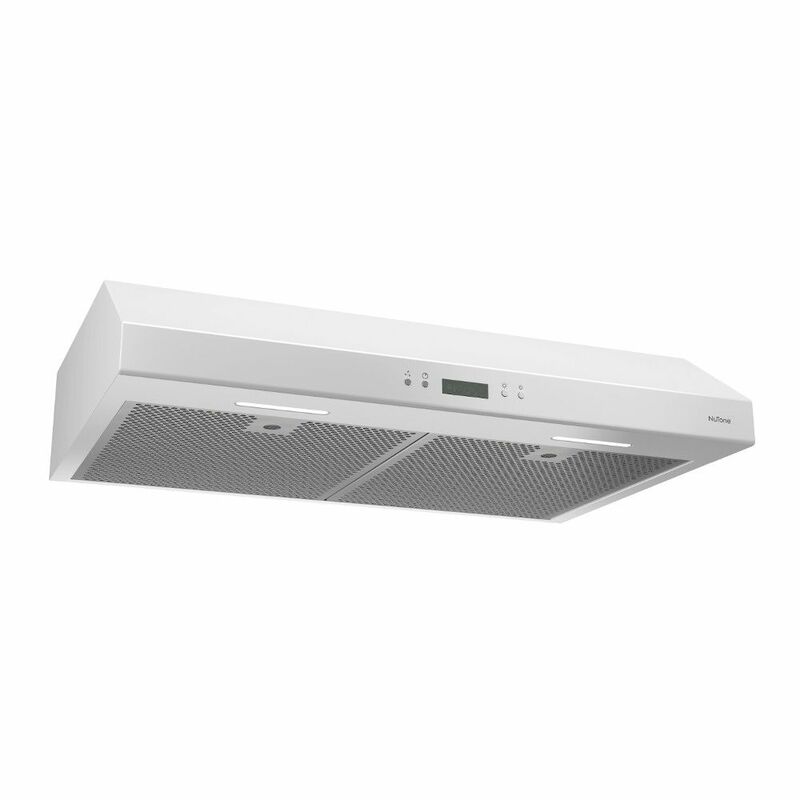 and rear or top venting applications, the Slim Plus range hood can replace any existing under-cabinet range hood. Available in Stainless Steel, White or Black colours, the Slim Plus is easy to love. Glacier Series. The smart choice. Air quality is a top concern for today's families. The Broan series, with its superior capture efficiency, is the ideal solution. What's more, this model's features provide the best quality and performance for the price. 30 inch 400 CFM Under cabinet range hood in white Unity Series. Quality through and through. Well-made, efficient products designed to simplify the lives of today's families on the go. NuTone range hoods set the standard for user-friendliness without compromising on performance. This model is sure to win over even the most demanding users with its innovative design, advanced technology, and unmatched performance.